Please note all pictures below are from the academic year 2017-2018. Please note all pictures below are taken from academic year 2016-2017. This term in Music, year 2 have been learning about rock and pop music. We have listened to Queen, the Beatles, Chuck Berry, Status Quo, Adele and James Bay. We have enjoyed this Music topic and have been learning to sing 'Hold Back the River' byJames Bay. 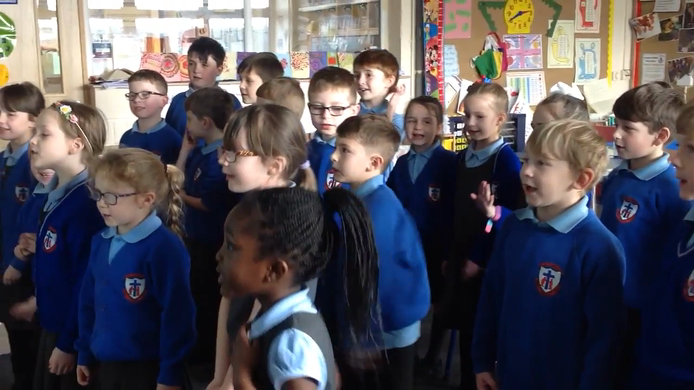 This term in music year 2 have been learning about different styles of Music from Africa. We have been learning to recognise the pulse, the beat and the rhythm of different songs. We have been using lots of musical instruments too! Some of our favorite songs are "Hands, Feet, Heart" and "The Lion Sleeps Tonight".